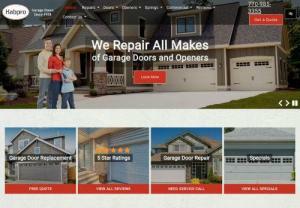 Habpro Garage Doors offers the greater Atlanta and North Georgia area residential and commercial customers the highest quality in garage door repair, new garage door installation, garage door openers and repair, and garage door spring replacement. Garage Doors & More of the Piedmont has been serving the Charlotte Metro area since 2001. At last count, we have serviced nearly 30,000 residential homes in the Charlotte area. Our commercial department also has nearly 1,000 customers. We have been so successful because of our goal to provide the best prices and service available. 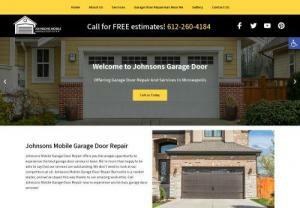 Gold Canyon garage door contractor offers excellent deals on garage door torsion spring repair and garage opener remote. Located in Arizona. 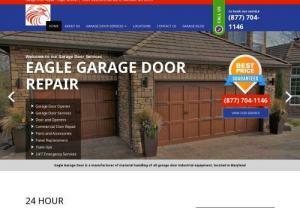 When it comes to garage door and spring service in Lafayette, CO ~ GarageV2, Lafayette Garage Door can Repair them all. We have a lot to give you, as part of our excellent selection you can see, Commercial metal doors, Custom carriage garage doors, Garage door installation, Garage door openers, Garage door repair, Garage spring replacement and much more. Located in Ennis, with offers that include replacement of garage door spring and garage door opener. A Texas based provider with experts technicians. Phone - 972-512-0962.